The staff here at No1 CopperPot Credit Union are always up for having fun in the office and raising money for a good cause. Tomorrow, we are having a ‘Superhero Day’ to raise money Key 103’s official charity ‘Cash For Kids‘ who are supporting ‘When You Wish Upon A Star‘. When You Wish Upon A Star is a charity which grants wishes for children with life threatening illnesses. 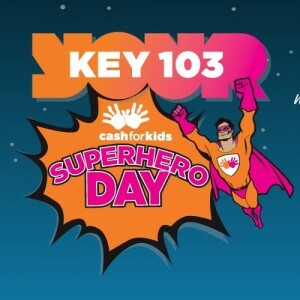 We are all dressing up as Superheroes , bringing in cakes and have all donated prizes for a raffle in the office! This will be a fun day and hope fully we will raise lots of money! All of our members are superheroes already, so come down to the office and enjoy a coffee and a cake with us!